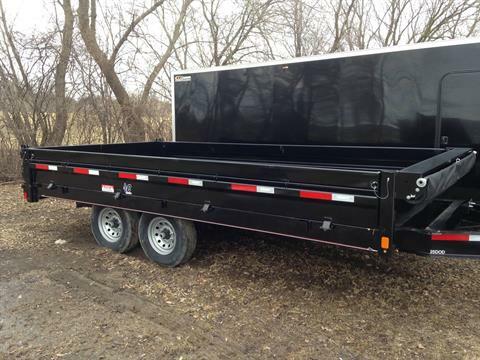 2019 86" x 16' 14,900# 7.1 yd Deckover Dump Trailer Diamond C - BLACK - Fold Down Sides! ! 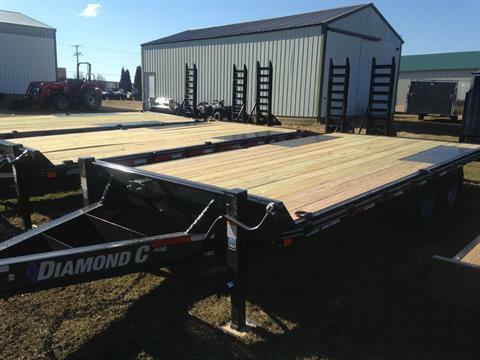 2019 82X18' 9,800# DIAMOND C EQUIPMENT TRAILER - BLACK w/ 2' Diamond Plate Dovetail and 60" Flip-Knee Ramps. READY TO HAUL YOUR LOAD ! 2019 20X82 14,900# LO PRO DIAMOND C POWER TILT -BLACK. BEST WAY TO HAUL IT IS WITH A TILT ! 2019 16X83 7000# Diamond C Car Trailer -Black W/ 24" DIAMOND PLATE DOVETAIL & 2 SLIDE IN RAMPS. LETS GET HAULIN ! 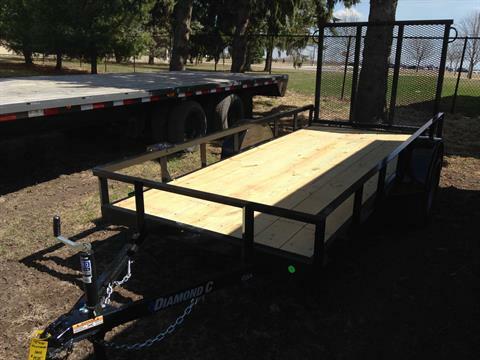 2019 82X18' 9,800# DIAMOND C CAR TRAILER - BLACK 2/ 2' Diamond plate Dovetail & 60" Pull out ramps. HEAVY DUTY HAULER ! 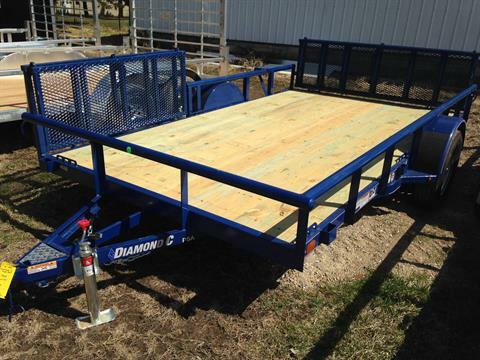 2019 20X83 7000# Diamond C Car Trailer -Black w/ 24" DIAMOND PLATE DOVETAIL & 2 SLIDE IN RAMPS. LETS GET HAULIN ! 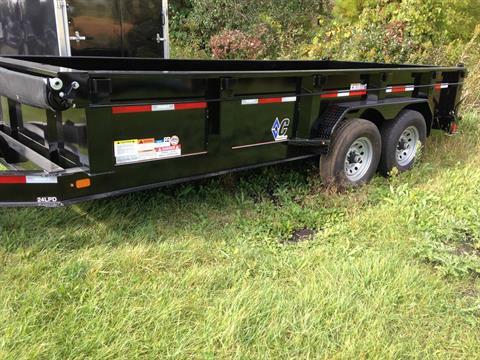 2019 12X60 GENERAL SA UTILITY TRAILER by DIAMOND C - BLACK 48" REAR RAMP. - QUALITY HAULER ! 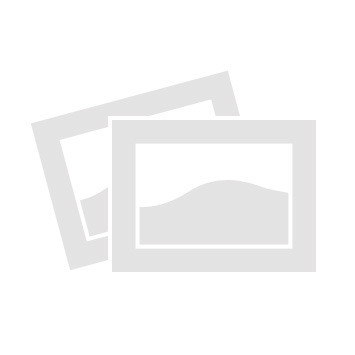 2019 12X83 GENERAL SA UTILITY TRAILER by DIAMOND C - BLACK w/ 48" Gate. General utility for all your hauling needs ! 2019 12X60 GENERAL SA UTILITY TRAILER by DIAMOND C - BLACK w/ 48" REAR GATE. -Perfect sized ! NEW 2019 12X83 ATV PKG SA UTILITY DIAMOND C TRAILER - BLUE w/ 48" Bi-fold Rear gate & Side ATV Load Gate. NEW 2019 12X83 ATV PKG SA UTILITY DIAMOND C TRAILER - RED w/ 48" Bi-fold Rear Gate & Side ATV Gate. NEW 2019 14X83 ATV PKG SA UTILITY DIAMOND C TRAILER - BLACK w/ 48" Bi-fold rear gate & 48" Side Bi-fold ATV gate.